Greece is ancient glory and living mythology, island bliss, and sunset sailing. 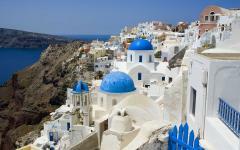 A trip to Greece is also quiet beaches, blue and white villages, and Cycladic mazes. While this is an beautiful country, the highlights do not always need a lot of time. 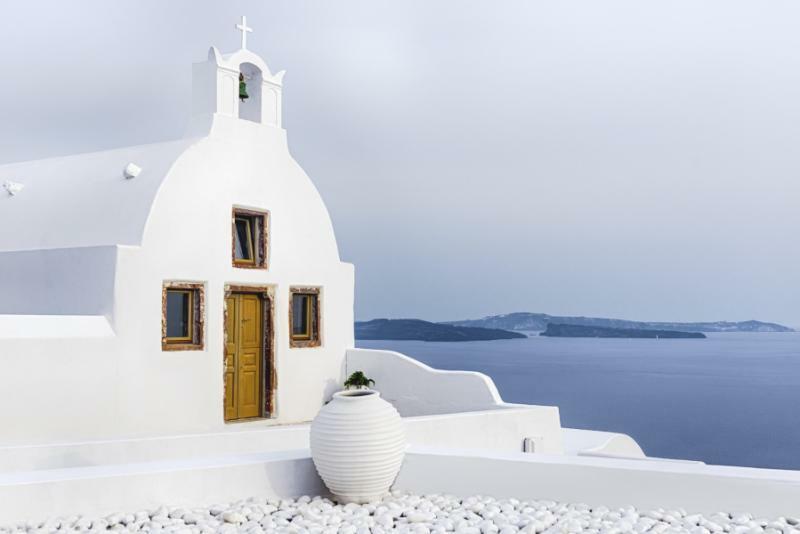 Handcrafted for authentic and intimate experiences, this one-week Greece vacation explores Athens, Mykonos, and Santorini. From mysterious temples to sunbaked villages, you will uncover both the legends and the relaxed vacation vibe. Looking for more inspiration? Browse our Greece vacations page to make your dream Greek vacation tour come true. Greece is far more impressive than even the photos suggest. Find yourself gazing at a windswept temple high above the sea, mysteries whispering from its sunbaked columns. 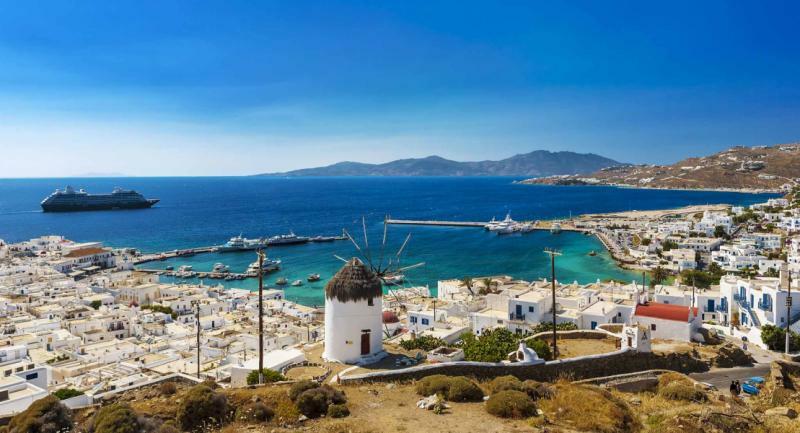 Watch the windmills juxtaposed with the whitewashed villages, where every footstep takes you deeper into an old Cycladic maze. Volcanic caldera is back-dropped by sunset, seen while on a private catamaran cruise. Even the most photographed places cannot be understood unless they are experienced first hand, and this is especially true in Greece. You can see a static image of the Temple of Olympian Zeus, but only when stood beneath it can you appreciate the majesty and scale of the 2,500-year-old creation. You may have seen many photos of Fira or Oia, the wonderfully photogenic blue and white villages on Santorini island, but when you visit Santorini, you will understand that the villages’ sounds and smells are just as evocative. Perhaps the greatest highlight of traveling in Greece is the country’s ability to be authentic, without you needing to make a huge time investment. Island villages have preserved their tradition, despite their popularity among tourists. Ancient monuments still feel incredibly mysterious, even if they have been photographed millions of times. Local culture and cuisine continues to be celebrated, such as in the Athenian neighborhoods of Plaka and Monastiraki. So even though you only have a week to explore Greece, you are able to dive beneath the surface and really explore what the country is all about. 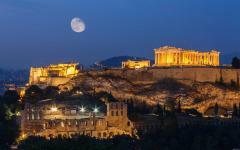 That’s not to say that you go too far off the beaten path or visit places devoid of visitors – Greece is popular – but that Greece itself maintains a real authenticity. Of course, such authenticity is not available everywhere. Plus, you will need a good local guide to understand all that history and mystery. These two considerations are integral to this handcrafted one-week Greece tour. By connecting you with the right people at the right places, your tour can celebrate the best of Greece. You will travel to three quite different destinations, spending three nights in Athens, two on Mykonos island, and two on Santorini island. And while the list of places you visit runs into many dozens of entries, you will find that Greece has a laid-back vibe to complement all the sights. Athens is obviously unmissable. Jump into some local experiences on day one, exploring lively neighborhoods that have brought tradition into the modern day. Day two is all about ancient civilization, exploring the highlights of the Agora and Acropolis. Get away from the noise with a day trip to Cape Sounion on day three, culminating in the dramatically situated Temple of Poseidon. 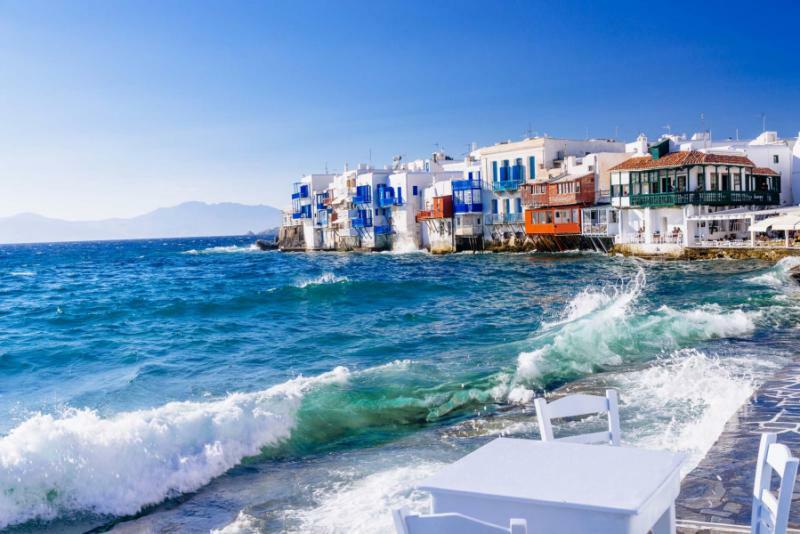 Fly to Mykonos on day four and delve into the old town of Hora, a maze of tradition and chic cubist charms, as well as a seaside base packed with cafes and seafood restaurants. 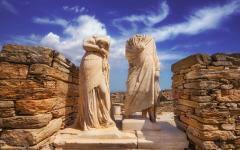 On day four you will be guided around Hora, and then on day five, you will visit the mythical island of Delos. 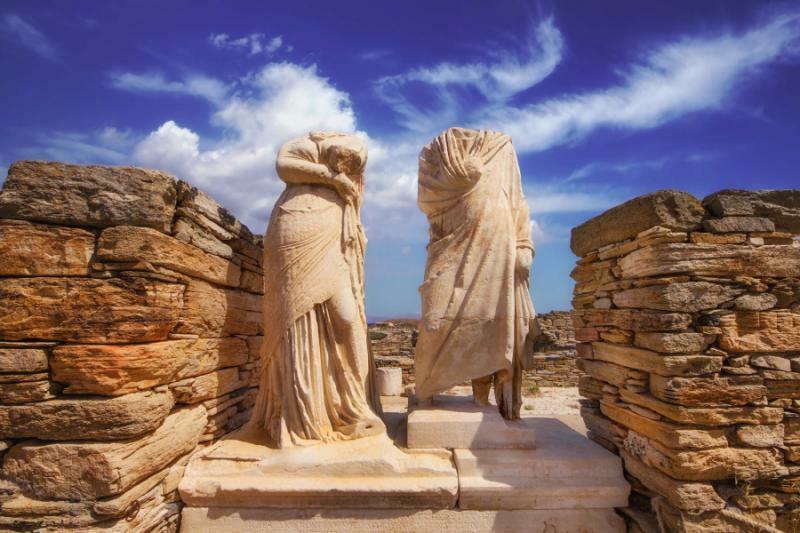 Delos is an island of ruins and sacred history, the mythologized birthplace of both Apollo and Artemis with a cult culture that predates most of the rest of Ancient Greece. It will be less than two hours by fast ferry to Santorini on day six, where you can jump straight into an island of blue and white villages. Go catamaran cruising at sunset, discover the exceptional food, and wile away an evening with local wine. Keep exploring Santorini’s treasures on day seven, including walking on a volcano and a black-sand beach. Santorini has its own airport for an easy departure after one week in Greece, and as you fly away, you will recollect just how much you’ve experienced in that time. Consider reading some of our travelers’ Greece tour reviews for more ideas to perfect your dream vacation. The sound of crashing plates echoes through the maze, often accompanied by an orchestra of footsteps, chatter and clinking glasses. Often it will be hard to understand where the sounds emanate, such is the way they twist and turn through the old lanes. Smells are equally evocative, from those suggesting fresh seafood and sizzling meats, to those that you cannot quite identify, yet linger continually in the background. 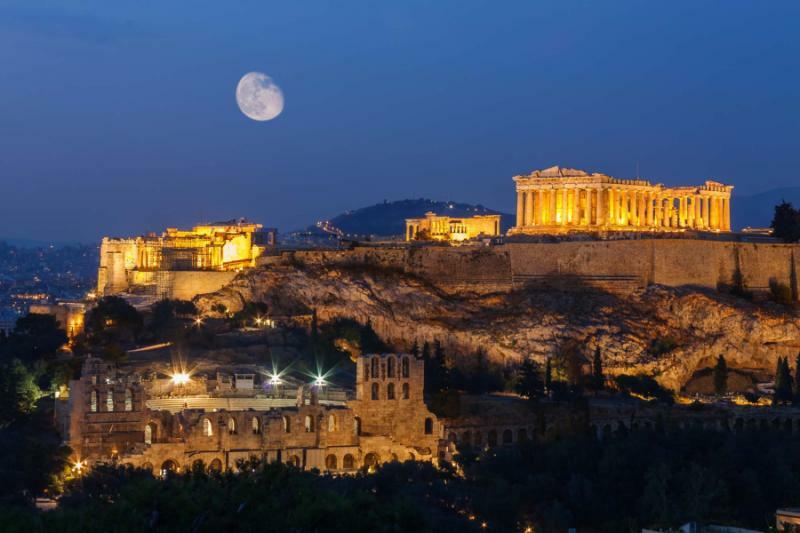 While the Acropolis stands dramatic high above, you will be out exploring the lived-in neighborhoods in the heart of Athens. 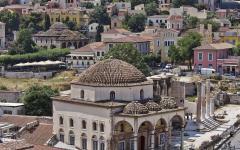 Your hotel is situated in one of these as well – Plaka. It is lively here with cobbled stone paths packed full of cafes, restaurants, boutiques and a sense of history that has nothing to do with Zeus. After a private airport transfer, you can go exploring with your guide. Start in the hidden white village of Anafiotika. Tucked beneath a cliff and not signposted at all, it’s the most traditional area within Plaka. Bougainvillea flowers mark the facade of cubic streets and the bustle of city life suddenly disappears. 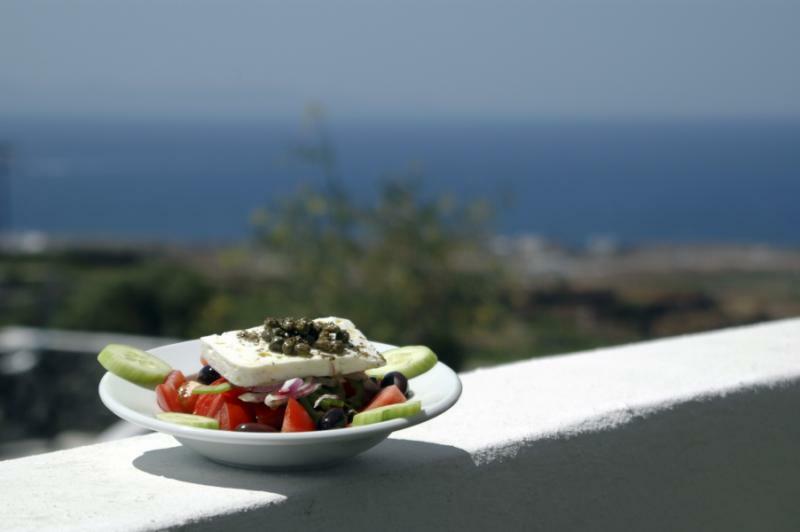 So take some time to catch your breath and settle into the Greek experience. Almost everyone misses Anafiotika because the Plaka lanes take them around and around in circles. Even GPS or Google Maps are little help, but of course, the locals know exactly which alleyways to take. And once here, you will appreciate how the concealment makes it so special. The rest of Plaka bustles with energy, especially when afternoon fades into evening. Wander past the patio restaurants, follow the exotic smells, peek inside some of the colorful antique shops, and find squares illuminated by iron lanterns. 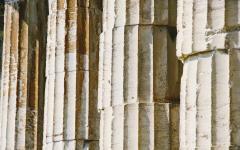 Your guide will explain the history and you can walk slowly, getting a feel for both Athens and the Greek authenticity. There are hundreds of places where you could dine, with the guide whittling that list down to a dozen of the best, dependent on your mood and how traditional you want to be. Wake to dive into the history, the dramatic remains of a civilization that changed the world. The landmarks and relics are surprisingly close to each other. There is, however, a fair amount of walking on hills. Start before the heat of the day, ascending to the Acropolis, where maidens gaze across at the Parthenon dedicated to goddess Artemis. Take a stroll through the 70,000 slabs of marble, a feeling that really impresses a place of spirituality. 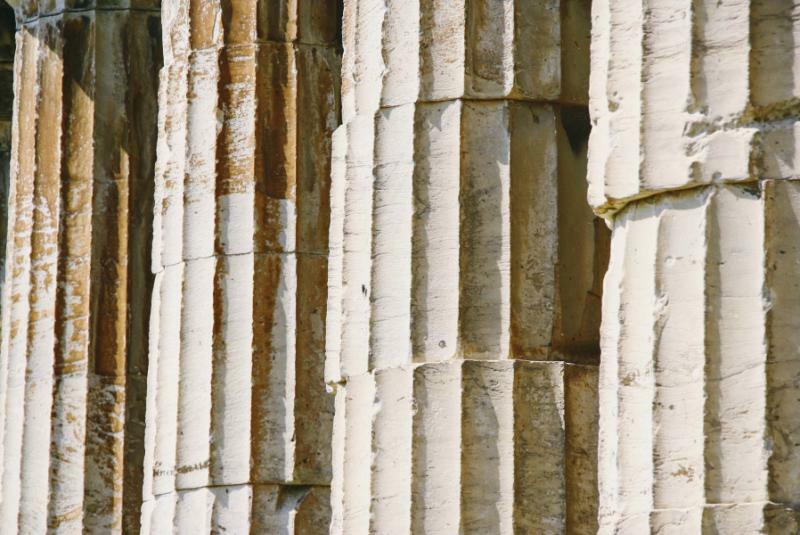 Discover why Athena Nike is depicted without wings at her sunbaked temple. Be in awe at the scale of the Acropolis, not just the size of the columns but the vast archaeological area that hangs above Athens. There is so much to discover up on the hill with an amphitheater of incredibly steep steps and rugged archways – the Odeon of Herodes Atticus – and the colossal height of columns at the Temple of Olympian Zeus. There is also so much detail, and your eyes will be working to take in everything from the sculpted gods to the marble hues. 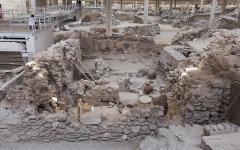 With the Acropolis, you can also explore the Ancient Agora, an extensive space of excavations that are still ongoing. Temples, arcades, concert halls, and rough relics give you get a sense of what life might have been like some 2,500 years ago. 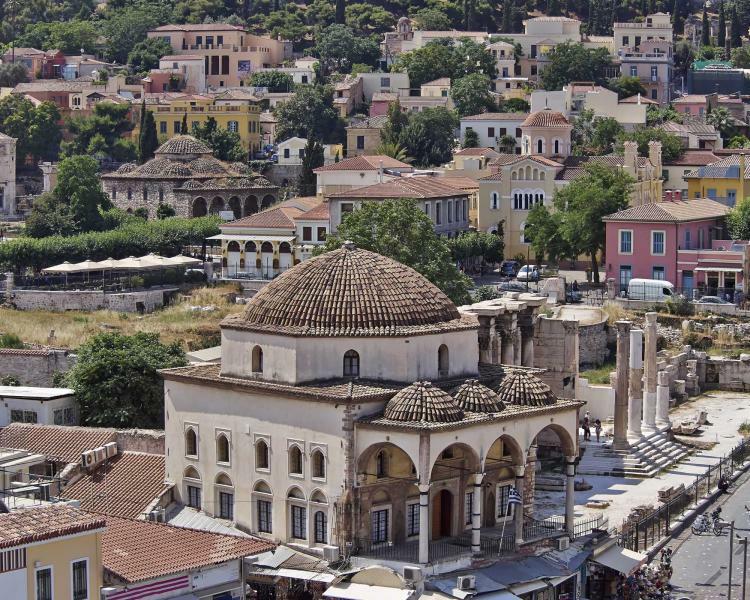 All this is usually enough for visitors, so from the Agora, you head back to the hotel and a relaxed evening in Plaka. However, a short trip into the new Acropolis Museum is rewarding, particularly the original statues and relics that are now protected here. As most tourists head for the islands from Athens, Cape Sounion remains remarkably quiet and under-visited. After a relaxed start, your guide will take you along the coastal road with a stop at Glyfada Beach bringing an hour or two for swimming, cocktails, and seafood. From here, the landscape feels more remote, the road twisting in and out of small hamlets. Rugged brown hills provide a backdrop to the whitewashed architecture, rising sharper and sharper from the Aegean blue. Then only around 90 minutes travel time from Athens you reach remote, stone-clad cliffs, where it can feel like you’re on the edge of the world. 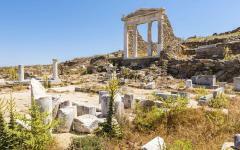 Such a feeling intensifies as you follow the walking trail to the Temple of Poseidon. Its columns appear as a silhouette at first, but gradually the marble color becomes apparent, and you approach the promontory, the sea some 200 feet below on three sides. Poseidon was the god of the sea and other waters, so the location of his temple really makes sense. Spend an hour here, and you may start feeling like Poseidon, surveying a watery domain from on high. The temple is one of the best-preserved in Greece and helps change the pace after the busy bustle of the Acropolis. Return to Plaka and another quiet evening in the neighborhood, eating and drinking and shopping. 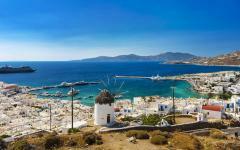 Flying to Mykonos, you will soon be deep within the Cycladic island bliss. Cubist houses are painted white and then flourished with a harmonious shade of blue. Stairway banisters, window shutters, and doorways also have this color, forming a harmonious scene that is not interrupted by vehicle traffic. Hora, also known as Mykonos town, remains a reflection of old village life, even if it is now very popular with visitors. You get to walk a labyrinth of blue and white streets, look over the sea from cobbled stone promenades, and stay cool even when the sun beats down. The white is not just pretty, as over the next few days you will understand how white houses along with lots of shadows mean the Cycladic islands stay cool in the height of summer. After an airport transfer, you will still have time to check into your hotel and relax. Spend the afternoon with your local guide, first heading out to inspect the island’s famous windmills, and then taking a historical tour through Hora. Step inside Panagia Paraportiani Church, and then walk to Little Venice, where there are some chic cafes and bars to try. There is a lively nighttime side to Mykonos town, but that will be optional as your hotel is on the quieter side of the town. Your guide can suggest various places for an island sunset, as well as arranging reservations for the town’s most revered restaurants. Delos feels special. It was the birthplace of Apollo and Artemis, the sanctuary of Zeus, and a cult center from a time before Greek civilization. The excavations are ongoing and extensive, with historians still debating exactly what happened here through the ages. 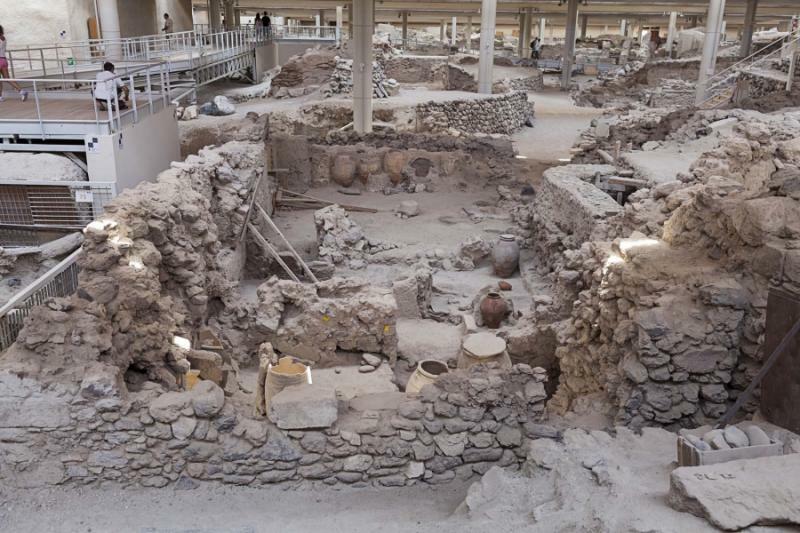 Stone huts suggest Cretan inhabitants from 5,000 years ago, while open graves tell a story of purifications. A phallic column emanates an entirely different tale, and then there is the theater, vast and rugged, cascading upwards and usually empty of other visitors. 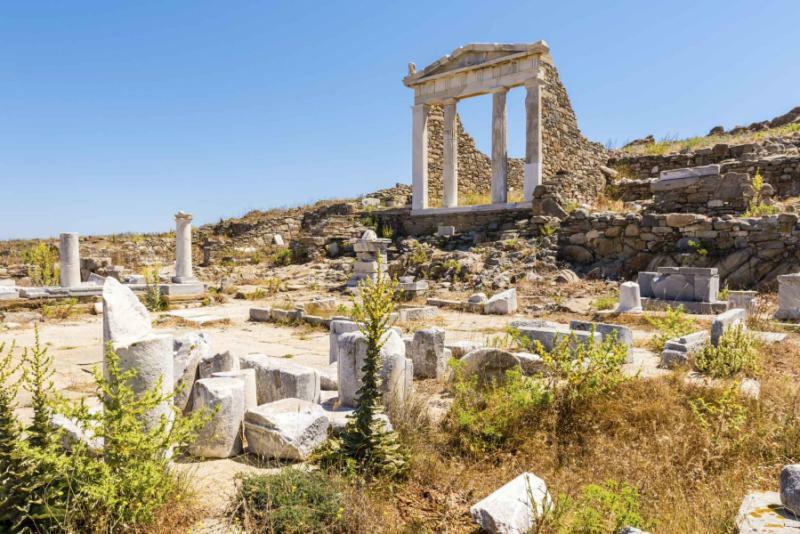 It suggests a time of wealth when Delos was the world’s number one trading center. Spending a full day is essential as the archaeological sites are found all over the island. See the seven snarling marble lions as iconic as the fabled sphinxes in Egypt, the floor mosaic depicting Dionysus riding a panther, the dolphin-riding winged gods, the oldest synagogue in the world and all manner of merchant houses and villas. This is a sacred land, and you can really piece together the eras in Greek history, from the mythologized starting points to practical everyday life. Take the short boat ride back to Mykonos and the evening is free, another chance to try the cafes and choose a seafood restaurant. 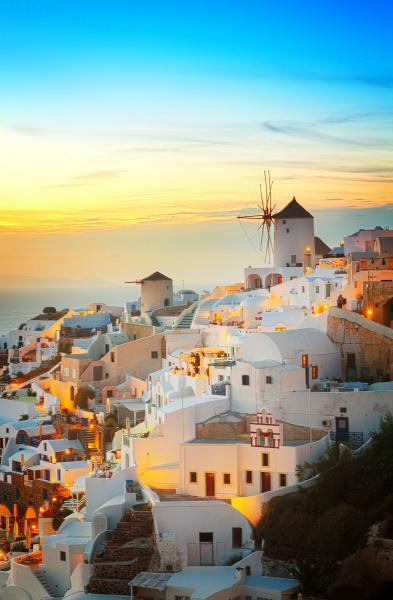 Onwards you hop to Santorini, a two-hour fast ferry to an island that is big on visual splendor. The volcano rises evocatively, casting its shadow across the blue-green waters as villages are hemmed into the cliffs of a caldera, famously blue and white and labyrinthine. Beaches are made from volcanic soil, one red, one black, others are various shades in between. From the port, you will transfer to Fira, the largest of the old villages. Descend some steps to your boutique hotel and check out the view from the infinity pool, which is also your private lookout for the legendary sunsets. The hotel’s cave-style interiors are in keeping with Fira’s style but have been modernized for today’s luxury traveler. You will have some free time to explore Fira this afternoon. You will probably get lost, and this is part of the experience. As in Plaka, you can follow your nose and your ears, although it is far quieter here and the aromas come with a salty edge. In the late afternoon, you can set off on a catamaran cruise, sailing beneath the cliffs and past the volcano, and then jumping off for a swim in remote waters. Seafood and drinks are served on board as the sun starts to set, the boat providing the ultimate Santorini view as from out in the water you get to enjoy the sunset, and how the whitewashed villages change color. Fira is laid-back, and as you return to the mainland, there are a number of stylish and traditional bars to try. This final day in Greece is most memorable for the colors. 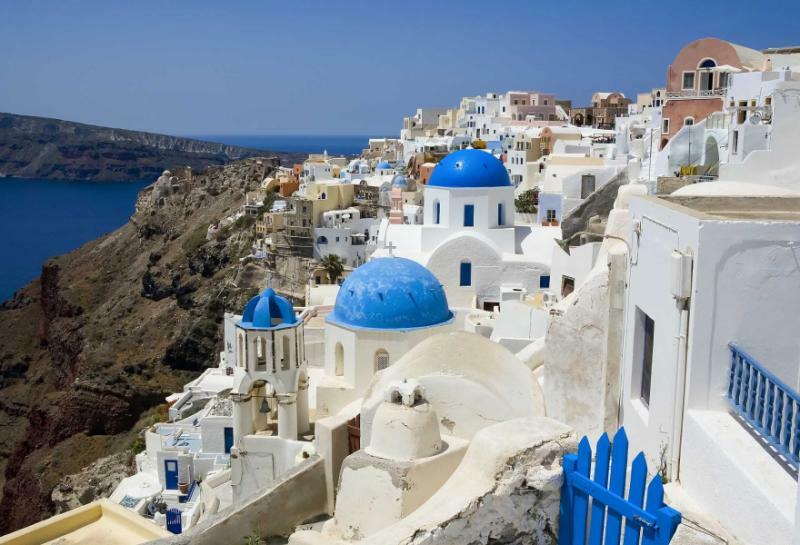 There is the blue and white of course, especially when you visit the smaller coastal village of Oia. Church domes dominate the scene here, blue topped by a white cross, standing above white octagonal walls and cubic naves. Green takes over at the Santorini vineyards, rows of vines admired before a food and wine pairing experience. Down in Amoudi Bay, you can see the soft red of fresh octopus just arrived from the ocean. From there, you can head around the rest of the island you find black sand, red sand, sun-scorched mountain rock and another hundred shades of blue. This full day can be flexible and tailored to your interests. It would be a very long day if you want to take in all the major Santorini highlights, including walking on the volcano, the villages of Oia and Imerovigli, plus the archaeological Bronze-age settlement of Akrotiri. With vineyards and beaches to visit as well, you have a lot of options. Your guide will help you pick and choose a route, or you can travel the Greek way and make up the route as you go along. Whichever way you travel, it will be a day of memorable highlights and colors, topped off with another of those famous Santorini sunsets. 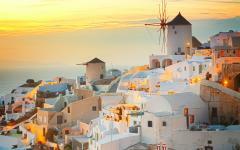 From Fira, you will transfer to Santorini’s airport for an easy departure from Greece. "it is the individual who makes the arrangements and her knowledge that makes it all happen"
"The hotels were first rate...we loved our trip!" "Our Italy and Greece tour operator did a great job customizing the trip to our preferences..."